T he Lalaji Memorial Omega International School is named in memory of Shri Ram Chandraji of Fatehgarh, affectionately known as Lalaji. Shri Ram Chandraji of Fatehgarh was born on 2nd February, 1873 in Uttar Pradesh in Northern India. Lalaji belonged to a distinguished family of jagirdars (landowners), but the family property was lost while his father was still alive, as a result of which Lalaji had to start a life afresh. He led a simple and pious life. His personality, mode of living and general behaviour earned Lalaji the affection and respect of his neighbours. He was much loved by Hindus and Muslims alike, and though he loved his followers with all their faults, he was at the same time a disciplinarian. He regarded morality as essential to self-realization and love as the greatest spiritual practice. It was Lalaji’s conviction that a normal family life was most conducive to self-development and that any sincere seeker could progress to the highest level of spiritual attainment while fulfilling the duties of a householder. 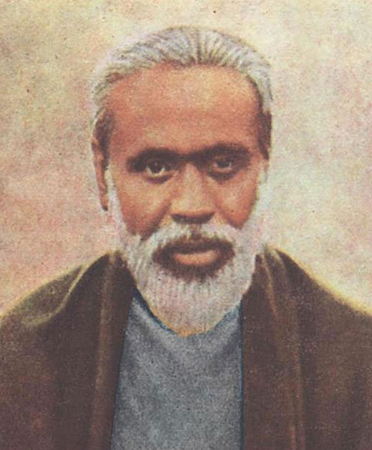 Not content to pursue such a goal for himself alone, Lalaji offered spiritual training to others without discrimination, assuring that the highest goals, previously thought to be achievable only by ascetics, were brought within the reach of all humanity. He was soon recognized as a spiritual saint of the highest calibre. Lalaji rediscovered the ancient art of transmission, whereby the Master transmits divine energy into the heart of the aspirant in order to expedite his or her spiritual development. This art had been practised in India thousands of years before, and through its rediscovery, Lalaji brought the highest spiritual approach within the reach of all who aspired to receive it. The art of transmission was passed from Lalaji to his most devoted disciple, Shri Ram Chandra of Shahjahanpur, who coincidentally bore the same name. Babuji, as he was known, further refined his Master’s teachings into the current system of practice called Sahaj Marg. Shri P. Rajagopalachari to be his successor and spiritual representative. Shri Parthasarathi Rajagopalachari was born on July 24th 1927, in the village of Vayalur near Madras in South India. 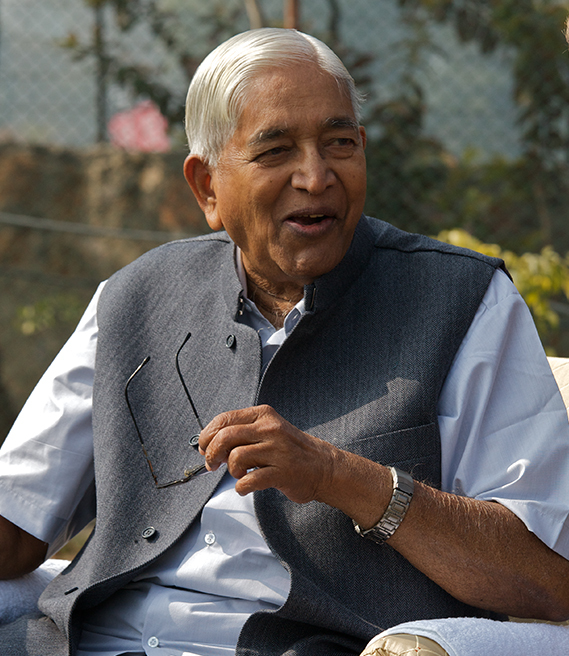 Affectionately called Chariji, he did most of his schooling in Jabalpur at the Christ Church Boys High School and later earned a Bachelor’s degree from Banaras Hindu University. He took up his first job with Indian Plastics Limited. He then travelled to Yugoslavia on a Government scholarship to study plastic manufacturing techniques. In 1955, Chariji joined the T.T.Krishnamachari group of companies as a salesman in the Industrial Products Division, rising to the position of Director in a number of the group’s companies by the time he retired in 1985. His work required him to travel extensively within India and abroad. A voracious reader from an early age, his intellectual curiosity led him to study Philosophy, Psychology, Mysticism, etc. He particularly loved the Bhagavad Gita. Chariji’s conscious spiritual aspirations were awakened at the age of 18 upon hearing an inspired lecture on the Bhagavad Gita. In 1964, he met his spiritual Master Shri Ram Chandra, affectionately called Babuji, and started the practice of Sahaj Marg meditation offered by Shri Ram Chandra Mission. While continuing to fulfil his familial and business responsibilities, Chariji was yet vigilant in his spiritual practice and was dedicated to the work of Shri Ram Chandra Mission. 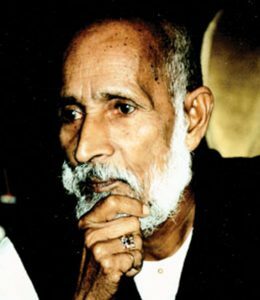 Upon Babuji’s Mahasamadhi in 1983, Chariji became his spiritual representative and successor. Chariji’s relentless work as President of the Mission over the last 30 years resulted in remarkable growth and expansion of the Mission’s activities all over the world. The Mission is currently present in 125 countries around the world and has a member base of more than 200,000 aspirants worldwide. He was also the Managing Trustee of the Sahaj Marg Spirituality Foundation, the organization which funded the creation of the Lalaji Memorial Omega International School in 2005, in loving memory of Lalaji Maharaj, the Adi Guru of Shri Ram Chandra Mission.